Original owners, first time on the market. This 3 bedroom/ 2 bath home has a split floor plan for master suite privacy. Great room is open and inviting with vaulted ceiling and is ready for entertaining. Well appointed kitchen has a breakfast bar. In house laundry. Newer HVAC system. Spacious backyard with room to add a large lanai and pool should you desire. North Port, Florida and the surrounding area is filled with choices. No matter what your hobby you will be able to enjoy it here. Nature lovers can explore the stunning waterways and huge oak trees on horseback. You can stroll along one of the beaches and pick up shark teeth and mollusk shells. North Port is home to what many locals refer to as the fountain of youth - this mineral hot spring is said to make you look 20 years younger! The locals and tourists alike speak wonder about the Warm Mineral Springs. The new home of the Atlantic Braves will be your favorite new place to hang out. Shopping and restaurants are plentiful. 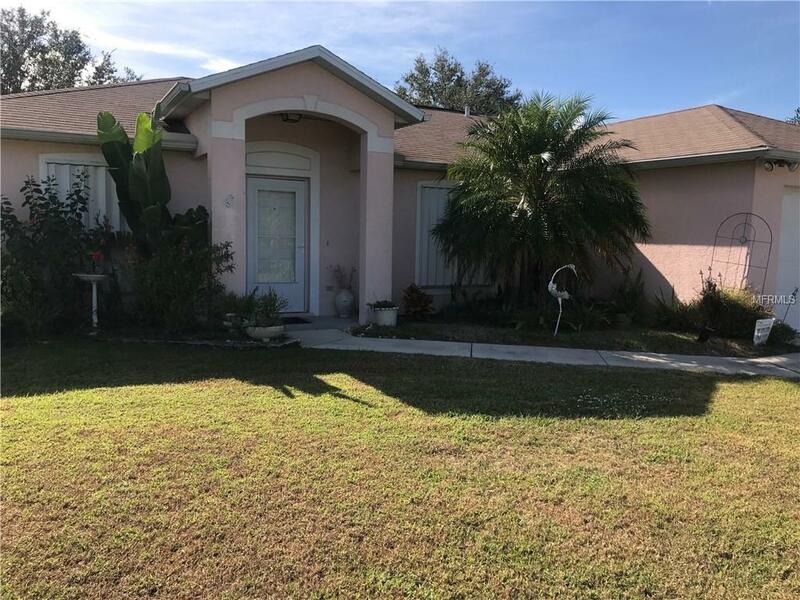 Come check out this home in one of the fastest growing areas in Florida.